After the wage hike in Taiwan and Hongkong, South Korea finally pressed the red button to increase wages to benefit the Overseas Filipino Workers (OFW’s)! The increased in salary of the OFW’s who are working in South Korea is guaranteed this coming year. Those who are in Korea will earn monthly income of KRW1,352,230 (P56,165.28). 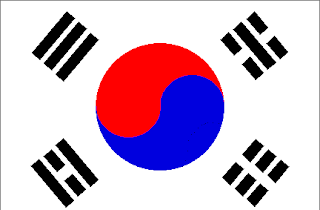 Filipino’s may celebrate a little, for South Korea’s minimum wage will increase by 7.3% next year and expected to benefit thousands of Overseas Filipino Workers who are working there. According to the government estimate, there are at least around 24,000 OFWs working in South Korea. According to the Department of Labor and Employment (DOLE), the minimum wage rate in South Korea will be KRW 6,470/Hour or P268.73/Hour from the current rate of KRW 6,030 or P250.46 per hour starting next year. Translated to KRW51,760(2,149.87) per day on an 8-hour working day. 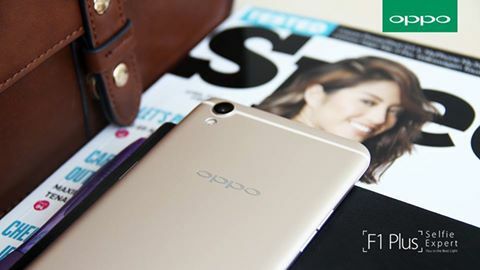 KRW258,800 (P10,749.93) on five working days. It is equivalent to KRW1,352,230 (P56,165.28) a month. According to Welfare Officer Manuela Peña, the increase was approved by the South Korea's Ministry of Employment and Labor. In her report to DOLE Secretary Silvestre Bello III, Peña said that all South Korea-based OFW in both small and medium manufacturing industries employed under the Employment Permit System (EPS) shall be included in the wage increase. Korea's Labor Standard s Act defined the minimum wage should cover all employees ,whether temporary, part time ,or daily ;regardless of nationality. Good news everyone! The Philippine Long Distance Telephone Company (PLDT) now offers a 4G LTE home broadband connection with 30GB monthly cap for only Php699 per month. This plan called PLDT Ultera Fun Plan 699, it have 3 mbps speed that suitable for for home and casual internet usage. Free installation and no cash-out needed, plus enjoy a free subscription in Spinnr, Iflix and Pinoy Blockbuster. This promo is until May 31, 2016. For more details, visit PLDT official site. 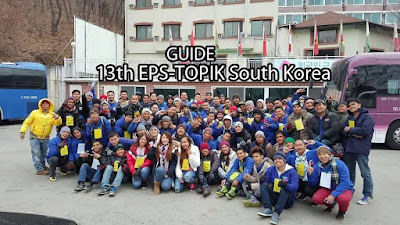 How to Register Online in 13th EPS-TOPIK(2016) Korean Jobs? We write this article to guide all Filipinos who wants to take the incoming 13th Test of Proficiency in Korean (EPS-TOPIK) in the Philippines. You can read here the guide for online registration, paying and getting the permit. Before you proceed to this step, you must have a POEA e-Registration System account. If you have, then proceed to the step below. Step 1: Go to http://eps.poea.gov.ph/eps/main.php and click the Online Registration. Fill-up all required information. Note: Use capital letter and all the details must be the same in your passport. If your personal information is not the same in your passport, your application will not be permitted even if you pass the TOPIK exam. Upload your jpg format colored Passport size ID picture and scanned Passport. Passport size ID picture - 35mm x 45mm size at 72 pixels/inch resolution, must not exceed to 1 MB file size and should be taken within 6 months. Scanned Passport - 90mm x 125mm size at 72 pixels/inch resolution, must not exceed to 1 MB file size. Check the I'm not a robot and click submit. You will see a message box together with your Reference and E-Registration number. Take note this numbers because you will use this in the future. Step 2: Click the Pay button to access Landbank E-Payment Portal and click National Government Agencies and select POEA-EPS TEST PROFICIENCY IN KOREAN TOPIK. Print or screenshot your receipt after your payment. 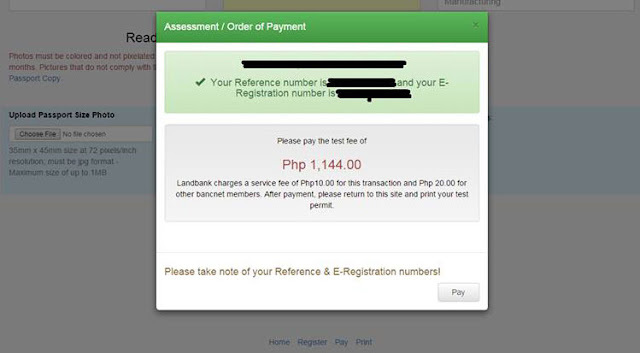 Note: There is 10 pesos transaction fee for Landbank online payment while 20 pesos for other participating banks. 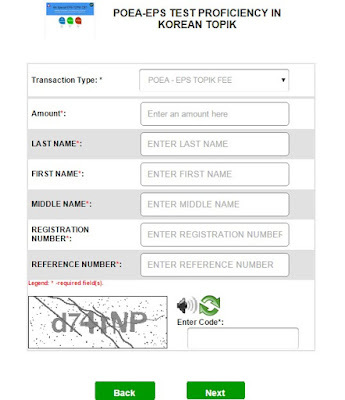 Step 3: Go http://eps.poea.gov.ph/eps/print.php and print your permit. Philippine Overseas Employment Administration (POEA) recently announced the test date for the 13th Test of Proficiency in Korean (EPS-TOPIK) in the Philippines. Passing this exam, either Paper Based Test (PBT) or Computer-Based-Test (CBT) is the only way to get a work in South Korea. This test is implemented by the Human Resources Development Service of Korea (HRD Korea) authorized by the Ministry of Employment and Labor of the Republic of Korea (MOEL). All MALE applicants can register on March 1-2-3 from 6 o'clock in the morning up to 8 o'clock in the evening. Meanwhile, FEMALEs can only register on March 3 with the same time because jobs for them is limited. Allocated list of test takers will be posted on POEA website on test date announcement, March 22, 2016. Paper Based Test (PBT) will be on April 2~3, 2016 with two session in Baguio, Cebu, Davao and Metro Manila. Examinees must be in the designated test room until the designated time (09:00 AM for the 1st session, and 1:00 PM for the 2nd session for the orientation). Computer-Based-Test (CBT) will be on April 11, 2016~May 24, 2016 with three sessions in Metro Manila only. Examinees must be in the CBT VENUE until the designated time (09:20 for the session 1, 12:20 for the session 2, 14:50 for the session 3 for the orientation). Note: Examiner must arrive at waiting room before applicant orientation. Goodluck for all KLT 13 examiners, Passing the EPS-TOPIK only gives the workers the qualification for EPS job application and does not guarantee employment in Korea. Are you an Overses Filipino Worker (OFW) or planning to work abroad? 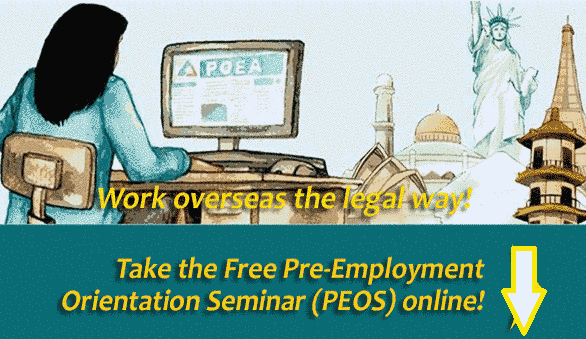 You might want to take the free online Pre-Employment Orientation Seminar (PEOS) by POEA. This program can take anywhere with the help of internet connection. The PEOS Online have eight self-learning modules, you can take all this modules for only 42 minutes. However, you need to understand and answer each module before you can open the next module. After you completed the program, POEA will issue you a certificate which you can include in your pre-employment processing with POEA. If you want to register in POEA Free Pre-Employment Orientation Seminar Online, go to http://peos.poea.gov.ph .